The state or process of rotting; decay. To divide numbers into their smaller parts. To Seperate a single compound into its two or more elemental parts. Uncle Dad's Art Collective is proud to present a 4 week residency at Naked Lounge. 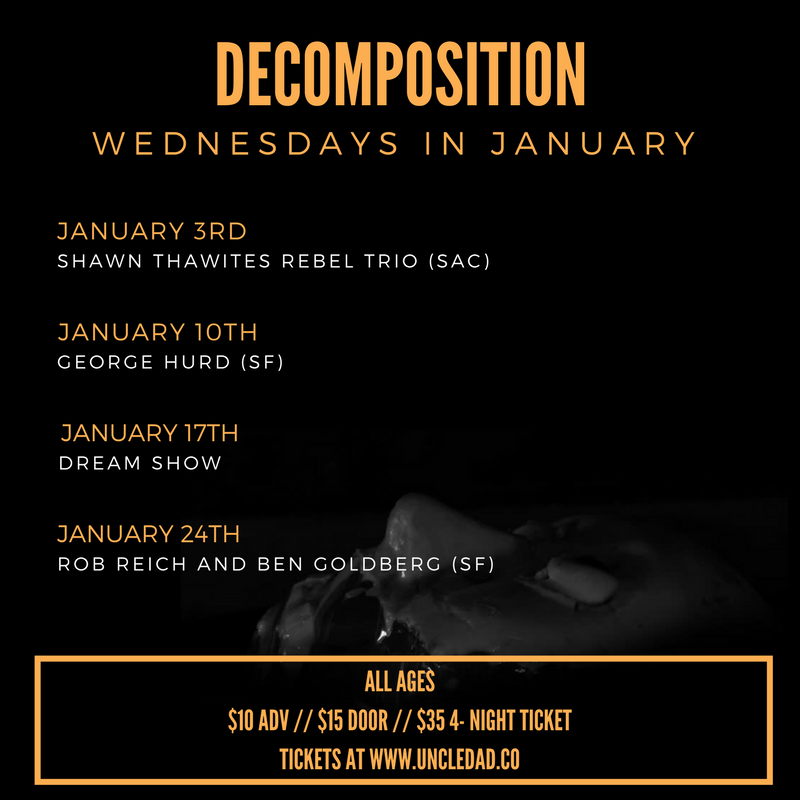 Curated by Joshua Hegg, each night will feature an entirely different lineup of visual, auditory, and performance art based on the concept of Decomposition as it relates to art, science, and culture.